Discover special nature beauties which can be found in eight Croatia’s National Parks. Unique combination of mountains, rivers, lakes and islands is very cool. Croatia has eight National parks: Brijuni, Kornati, Krka, Mljet, Paklenica, Plitvice Lakes, Risnjak and North Velebit. Their total area is 994 km²; 759 km² is land and 235 km² is water. 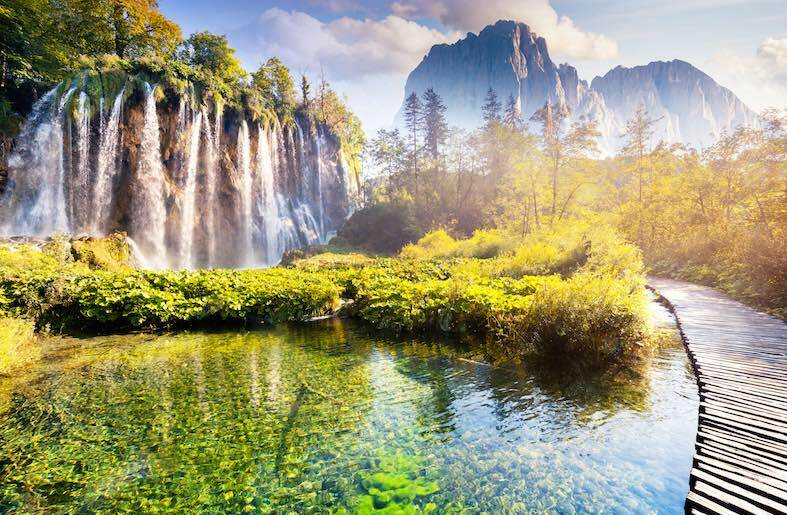 The most popular Croatian National parks are Plitvice Lakes, followed by Krka, Brijuni and Paklenica. 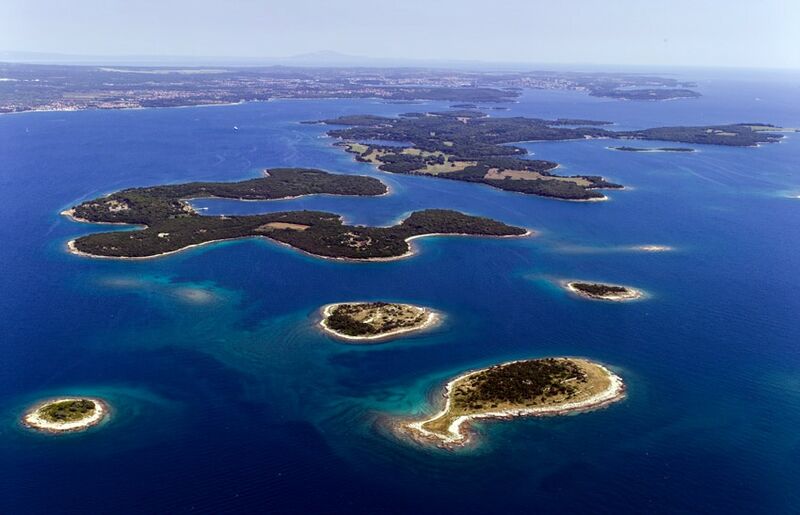 14 islands and islets, of which the largest are Veliki and Mali Brijun, having a total surface area of 33, 9 km². Brijuni were proclaimed a National park in 1983. It is a beautiful harmony between man, animal and plant life. Brijuni archipelago has an amazing biological diversity thanks to its geological base and geomorphology, its geographical location, island isolation and its diversity of the habitat. Brijuni is known as an exclusive and health resort and for the political activities of Marshal Josip Broz Tito. Thanks to its indented coastline, diverse flora and fauna, Brijuni is sometimes referred to as “Heaven on Earth”. The Kornati Islands is a separate group of islands in the central part of the Croatian Adriatic. 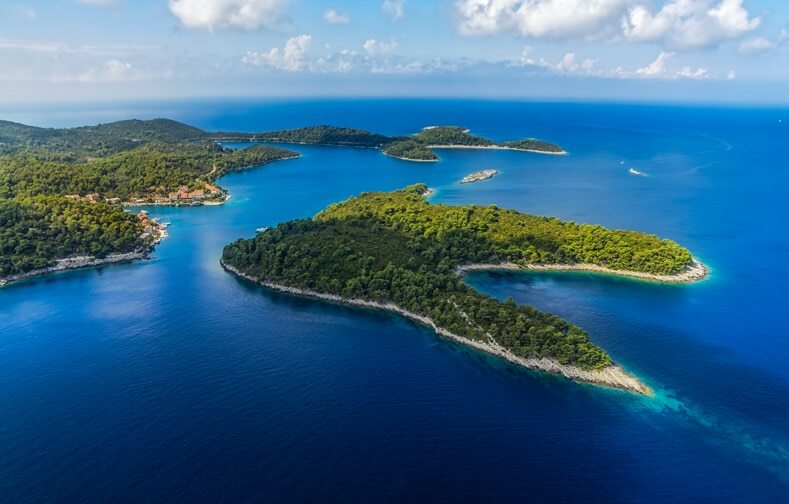 Thanks to his landscape features, indentedness of the coastline and abundant biocenoses of marine ecosystems, large part of Kornati sea surface was declared to be a national park in 1980. 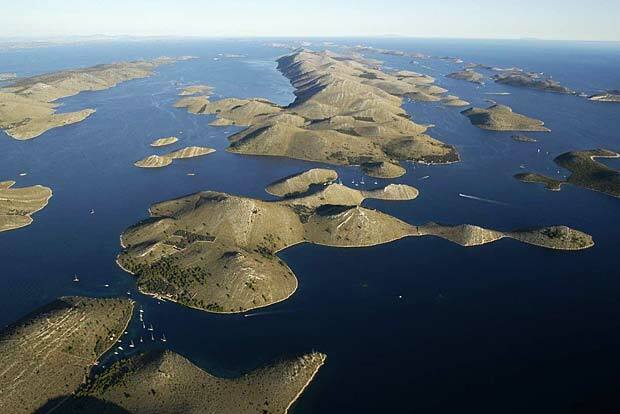 National Park Kornati has a total surface area of 220 km2 and is comprised of 89 islands, islets and reefs, which account for only ¼ of the park’s area, the rest is marine ecosystem.Panoramic flight to Kornati is one of our favourite tours that we offer to enjoy scenic and almost unreal views on this miracle of nature. Declared to be a National park in 1985., is a vast unaltered area of exceptional natural value. The National park is located in Central Dalmatia, only a few kilometers northeast of the Šibenik. 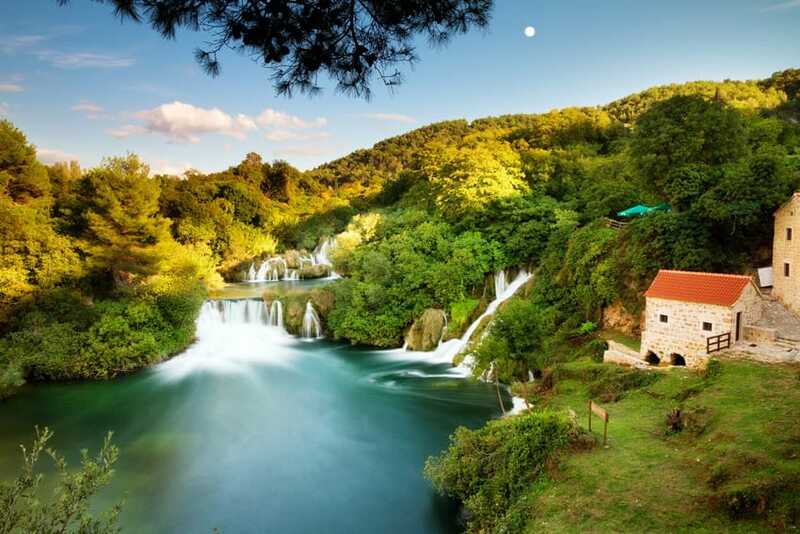 It covers a total area of 109 km² of the Krka river, and the lower course of the Čikola river. The Krka river is 72.5 km long. With its 242 m drop in altitude and the travertine waterfalls as the fundamental phenomenon, the Krka river is one of the most beautiful scenery in Croatia. National Park Mljet – located in the far south of Croatia, is often referred to as the most beautiful Adriatic island because it has some truly rare sites – a lake in the middle of the island and an island in the lake with a castle on the island, a Benedictine monastery from the 12th century. This almost surreal image seems to have been extracted from the most beautiful stories. According to one of them, Mljet was part of Odysseus’ route and nymph Calypso kept him in captivity there. Covers the area of 95 km², on the slope of South Velebit under highest mountain peaks Vaganski vrh and Sveto brdo. It has been proclaimed a National park in 1949. in order to protect and preserve this magnificent forest complex with its unique natural features and geomorphological structures. 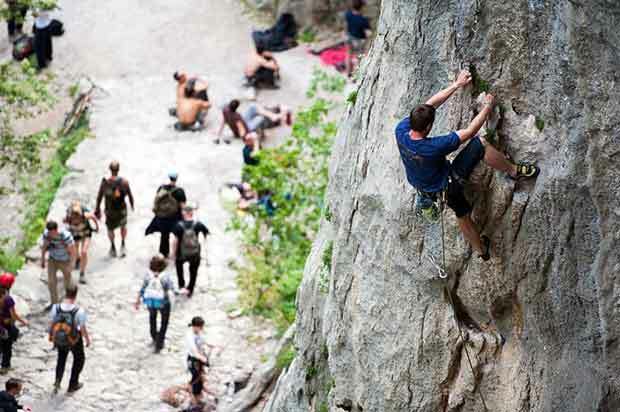 This area is famous around the World as a free climbing spot and now it has cult status for all who enjoy exiting sport of rock climbing.Paklenica is an unusual contact between the mountain and the sea, area of distinctive canyons of Mala and Velika Paklenica, with its torrent flows, diverse flora and fauna, and intact nature. It is rich with autochthonous forests of black pine, beech forests and diverse cultural heritage. National park Plitvice lakes – is the oldest National park in Southeastern Europe and the largest National park in Croatia, founded in 1949. In 1979, Plitvice Lakes National Park was added to UNESCO World Heritage register. It is a woody mountainous region with 16 lakes arranged in cascades. Separated by natural dams of travertine, these lakes are a result of the confluence of several small rivers and subterranean karst rivers. Ranging from azure to green, grey or blue, colors of the lakes change constantly depending on the angle of sunlight and quantity of minerals and organisms in the water. Also, Plitvice is home to many endemic species. This natural gem is a must-see when you travel to Croatia. National park Risnjak – Risnjak (1528 m) is the second highest mountain in Gorski kotar. 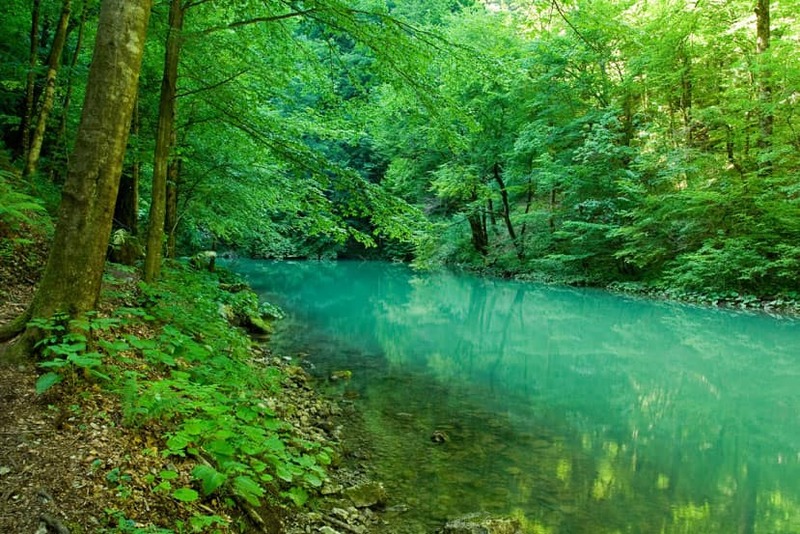 In 1953, it became the National park of the Republic of Croatia. Reasons for that are different, but can be summed up to the following: on the relatively small area, there is a great variety of the first class geographical, geological, and other natural phenomena, easily accessible for visitors. The natural beauties are almost untouched by man. National park Risnjak is situated in the Mount Risnjak massif and its 1528 meter peak being the basis of the park. To enjoy the beauties of Risnjak, you need to have a special sense for the thrills of natural phenomena. 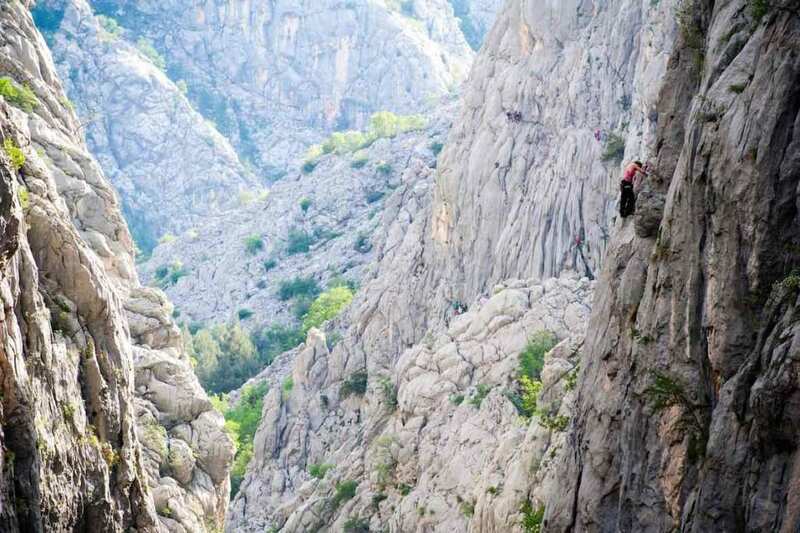 National park Northern Velebit – a diversity of karstic phenomena, flora and fauna, covers 109 km² of the northern section of the Velebit mountain. 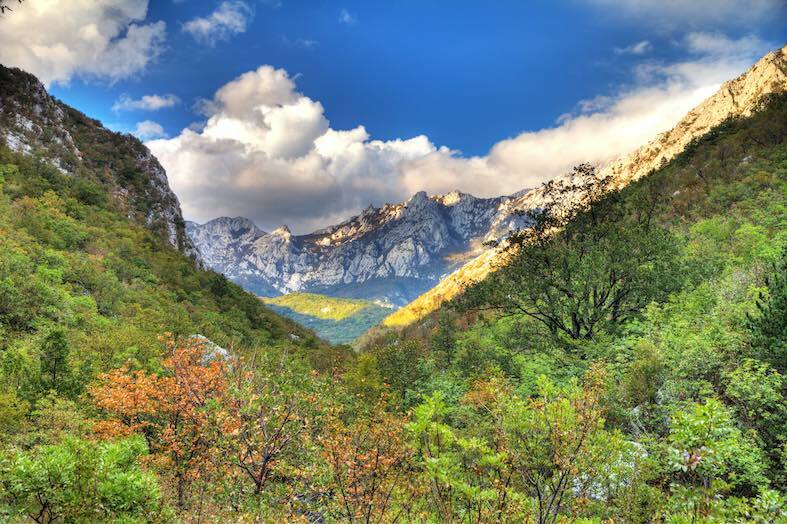 Whole Velebit mountain is a nature park and Northern Velebit was declared a National park in 1999. thanks to its authenticity and abundant variety. The special reservations in the center of the park are Hajdučki kukovi and Rožanski kukovi. Named after folk names for large stone masses rising up over the surroundings, access to this locations is allowed only for scientific researchers and educational visits. Skydiving in Zadar is maybe your way to experience it in its full potential. Check out our pick of classic and most popular adventure travel tours that you can do with us in area of National parks in Croatia.